PART II: Was Edward Roper a Hamilton artist? In the last issue I discussed the life and career of the artist Edward Roper (1833-1909), and promised to look more closely at his Hamilton connections, particularly his work with the Hamilton-based iteration of the Canadian Illustrated News, published from 1862 to 1864, as well as examining more of his Canadian work. Roper’s artistic output included views done in the Canadian West, in British Columbia and the Yukon, and in Ontario, most specifically the Muskoka region, but he also documented a wide range of First Nations communities as well. And of course his work reflects his ties to Hamilton, through the family connections he maintained there for much of his life. Although my last article provided some insight into Roper’s Canadian career, it is worthwhile to follow his footsteps in much more detail, in order to answer the original question I posed. Since last fall, further research into the more than 200 works by Roper now owned by Library and Archives Canada, as well as a detailed reading of most of the diaries kept by his wife Anne Creasey, has enabled me to retrace the trajectory of Roper’s life and travels.1 Reading Anne Creasey Roper’s diaries was a moving experience (figure 1: inside front cover for the 1857 diary, and figure 2: the entry for June 26, when she meets Edward for the first time). 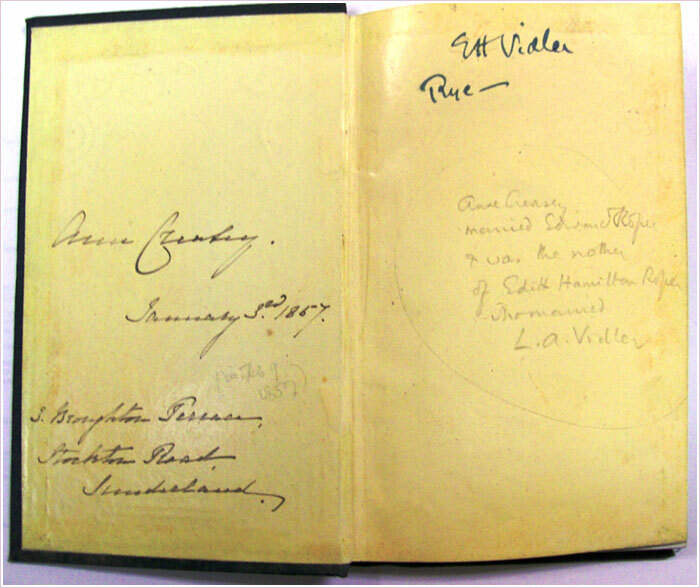 Figure 1: Photo of inside front cover for Anne Creasey’s 1857 diary, from LAC, Edward Roper Fonds, MG 29 D119, Volume 1 (author’s photograph). 1 Library and Archives Canada, Roper Fonds, MG 29, D119, Volume 1 (container 2000108819).